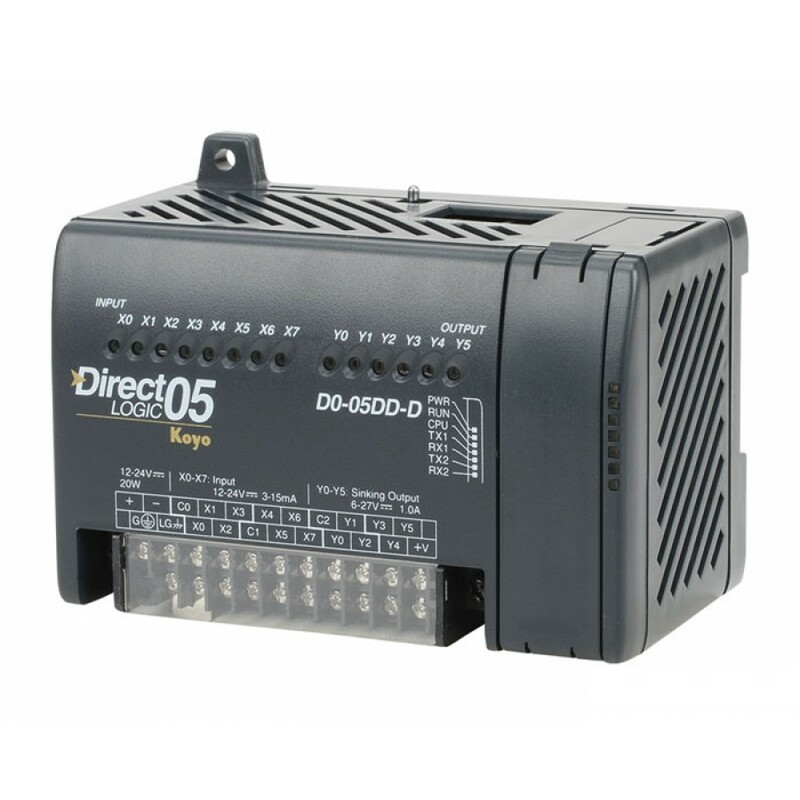 DL05 CPU, 8 DC in / 6 DC out, requires external 12-24 VDC power. 6k words total (2048 words ladder - flash, 4096 words V-memory), RLL/RLLPLUS programming, built-in RS-232C programming port and additional RS-232C comm. port. Inputs: 8 DC inputs, 12-24 VDC current sinking/sourcing, 2 isolated commons. 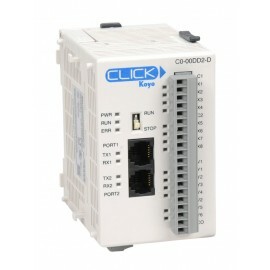 First 3 inputs configurable in one of several high-speed I/O features such as 5kHz counter input, pulse catch input, or interrupt input (not available when using pulse output). 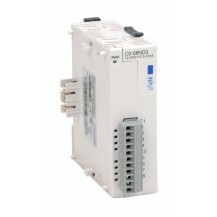 Outputs: 6 DC outputs, 6-27 VDC current sinking, 1.0A/point max., 1 common. 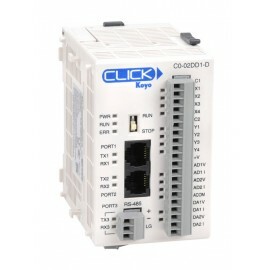 2 outputs configurable for independent CW/CCW pulse train output or step and direction pulse output up to 7kHz (0.5A/point) (not available when using high-speed inputs). One option slot available for option module.